I am a singer, educator, wife, and mom of four children. My childhood years were spent in Louisville, KY and North Carolina. After attaining a bachelor of science degree in Music Education, I completed an MFA in Dramatics and Speech Communication. In 2002, my education experience began with teaching college classes while receiving my MFA. I then accepted a position as the Performing Arts Director at a Christian school in Nashville, TN where I taught music, drama, speech and choir. Shortly after beginning my teaching career, I married the love of my life, Kyle Wells. We enjoyed living in Music City, but eventually moved to Lexington, KY where we achieved two dreams: Kyle became a Chick-fil-A Owner/Operator and we began our family. My husband and I worked together in those early years. I became his Marketing Director and the baby and I spent many hours in the back office of our new Chick-fil-A. Even though my heart was to be a mom, God had plans for me to return to the classroom…. just in a very different way. My paths crossed with a woman named Cindy McDaniels, who, at the time, was the Director of Assurance Pregnancy Care Center. She shared her heart for students in Lexington, KY. God was working in me through her story, and I joined the Assurance staff in 2012. Cindy and I worked together to cast the vision for the Raise the Standard program. In miraculous ways, God opened doors for us to go into the schools with truth, hope, and healing. Over the next five years, we reached over 6,000 students, presenting in every public and private high school in Fayette Co., as well as middle schools and church youth groups. With the blessing and support of Assurance, the Raise the Standard program is moving to be hosted and led by Refuge for Women. It will remain committed to the same principles of faith and practice, but will be positioned for some incredible growth opportunities. Now with over 12 years of experience in education, I am honored to have the opportunity to lead this program at Refuge for Women and continue to educate and impact students across central Kentucky. Devon was born and raised in Lexington, KY. In the beginning of October 2012, she and her first daughter spent roughly 6 months as residents with Refuge for Women, and it was there that her life (their life) slowly but drastically, began to change. Six years later, and she has been married for almost 4 years to her amazing husband Joshua, has three beautiful children (all girls), and works at the University of Kentucky. Her heart is to bring hope, knowledge, and awareness regarding Human Trafficking and Sexual Exploitation through her time with Raise the Standard. Shea and her husband, Jonathan, have a small fur-baby named Love. She has been with Refuge for almost two years. Before that, she taught at an orphanage in Mexico for two years. She obtained her teaching degree at Marshall University in Huntington, WV where she also taught fifth grade for one year after graduating. Shea is passionate about educating students and ending human trafficking. Meaghan comes from Lexington, Kentucky and graduated with her Bachelors of Public Health in May 2018. Meaghan specifically works with the Raise the Standard prevention program at Refuge for Women. Meaghan believes that every student is valuable and important. By identifying that truth, students can empower themselves to seek the best in all aspects of life, and ultimately guard themselves from anything that would try to devalue their purpose and worth. She has had the privilege to teach and mentor students throughout her college career in various leadership settings. 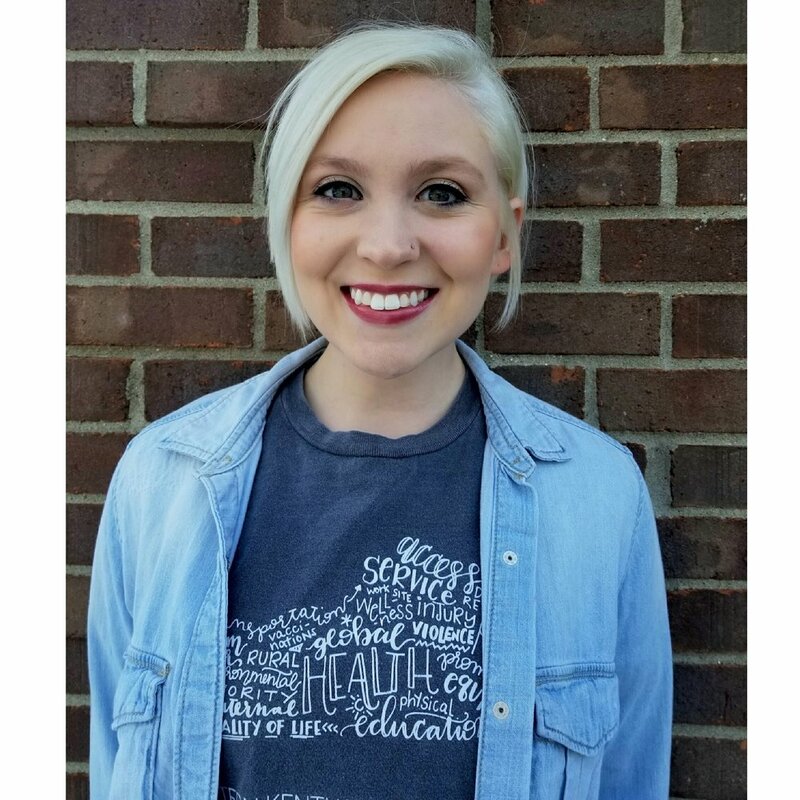 Meaghan is current a Graduate Assistant and is working on her Masters of Public Health at EKU.